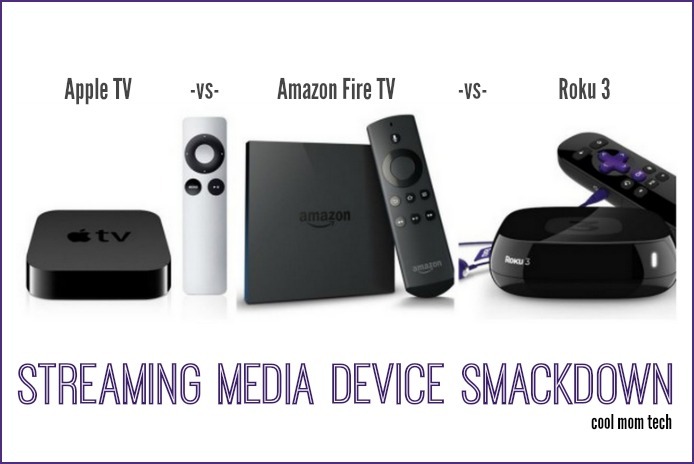 Apple TV vs Roku vs Amazon Fire TV: Smackdown! 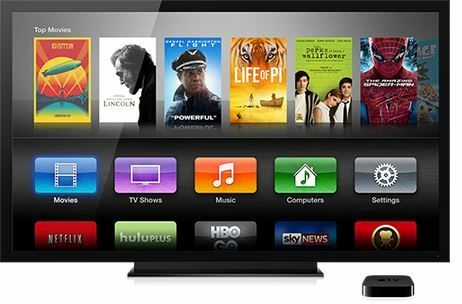 If you’re going to make the investment in a new streaming media device, we want to helping you out by comparing the top three – Apple TV, Amazon Fire TV and Roku 3 – and taking a closer look at the pros and cons, especially as they relate to family viewing. In our home, movie-watching has definitely evolved from indie flicks with my husband during our single days, to ones featuring more animation than I ever thought possible. With five people in the house all with different tastes, I totally understand the idea of families with competing entertainment needs. So in our latest high-tech smackdown of streaming devices, I hope to help you figure out the best way to bring that big world of content streaming into your home. Note: for this purpose, we’re sticking with boxtop sets; if you’re interested in learning more about devices like Google Chromecast or the Roku Streaming Stick, check out our individual reviews of those devices. If you’re a dedicated iOS user and have your trusty iPhone or iPad, it’s pretty much a no-brainer to go with Apple TV. You can sync everything together so that your streaming media and mobile devices are harmonious, and all of your saved music, shows and movies cross platforms so that there’s no real interruption in content. And speaking of content, in addition to new releases and currently TV shows, there are about 30 additional channels to choose from like PBS Kids and Disney Junior for your little kids; and Netflix, Hulu, A&E and the History Channel for the big ones. 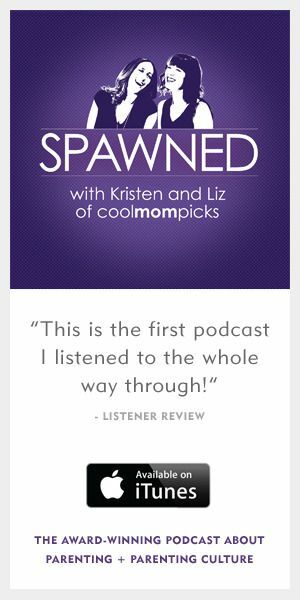 And thanks to iTunes, Apple seems to get most new content first, including movies still in theaters. That’s a huge deal for bigger families who can’t wait to see Frozen a second time (or by now, 57th time) without paying movie theater prices. AirPlay alone on Apple TV makes it worthwhile for iOS users, giving you the ability to broadcast anything to your TV, making those cute kid videos, slideshows, iTune purchases, and even app play easily accessible on your big screen which is a truly great benefit. However AirPlay is really the only vehicle for gaming on Apple TV. Without a dedicated gaming channel, true gamers will have to rely on whatever apps they already have on their iPhones, then AirPlay them to get the bigger screen effect. Just know there have been some complaints about freezing and buffering since the iOS7 update, particularly with Netflix compatibility. Bottom line: Forget it if you’re an Android family, but for $99, having the ability to extend existing media and apps on your iOS device to your TV is totally worth it. Content-wise, Apple TV is top notch for new releases, those indie flicks, kids’ movies and all the Oscar winners you never had a chance to see, even if it costs more to rent or buy. But it’s still cheaper than hauling the family to the theater. Apple TV is to iOS like Amazon Fire TV is to Kindle. Again, it goes back to the ancillary devices you already have, and if it’s a Kindle Fire you’re reading with in bed, this is the device for you. But there are other reasons Fire TV can be great for families, like the mirroring feature which displays anything from your Kindle Fire on the big screen–photos from last weekend’s birthday party, your favorite playlist from Pandora, you name it. I think that the Fire TV is easily the most kid-friendly box of the three. First off, the voice control feature is pretty amazing. For younger kids who don’t quite know their way around the alphabet and can’t quite spell things out on screen, this is a godsend – and yes, in my experience it can detect what a five-year-old is asking (most of the time). So if this is something you’re considering for a family room or playroom, it’s definitely a smart choice. Where Amazon Fire TV really pays for itself however, is if you’re an existing Amazon Prime member. If you have already spent the $99 annual fee, you have thousands of options on your TV, giving you free access to all the Downton Abbey, Parks & Recreation and Daniel Tiger’s Neighborhood your family wants, not to mention thousands of kid- and adult-friendly movies. On the other hand, it can be a little tough to find your way to the free Prime content – Roku actually makes it easier to do that. No doubt the folks at Amazon would prefer you watch your favorite pay titles instead. Fire TV also has a gaming remote that you can purchase separately for $40, which gives kids a more dedicated way to play favorites like Minecraft, but Amazon is also in talks with companies like EA Sports and Disney to roll out tons more gaming options. 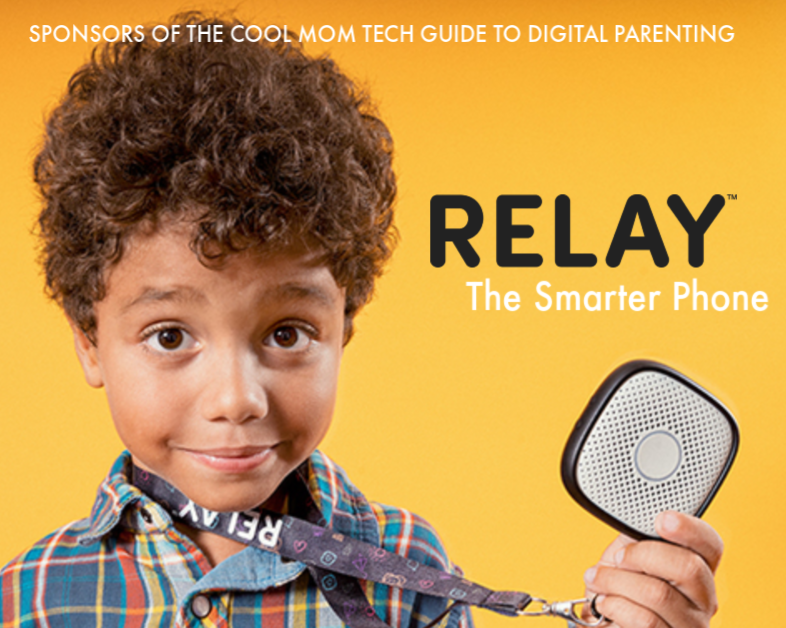 If that goes through, this could be a game changer for families. Bottom line: Existing Kindle Fire users and current Amazon Prime members will love the ease-of-use and content options of the Fire TV. Extra bonus is that it comes to you pre-loaded with your current selections and past purchases from Amazon. To maximize what the Fire TV offers, you really should have the Prime membership, so you’d need to consider if the additional $99 (on top of the Fire TV’s cost) is worth the investment. FreeTime parental controls are also available on Fire TV, making it the most family-friendly option of the three. First, Roku blows Apple TV and Fire TV out of the water with its channel offerings: More than 1000 channels, as opposed to the 20 to 30 from the other services. That’s quite a difference. 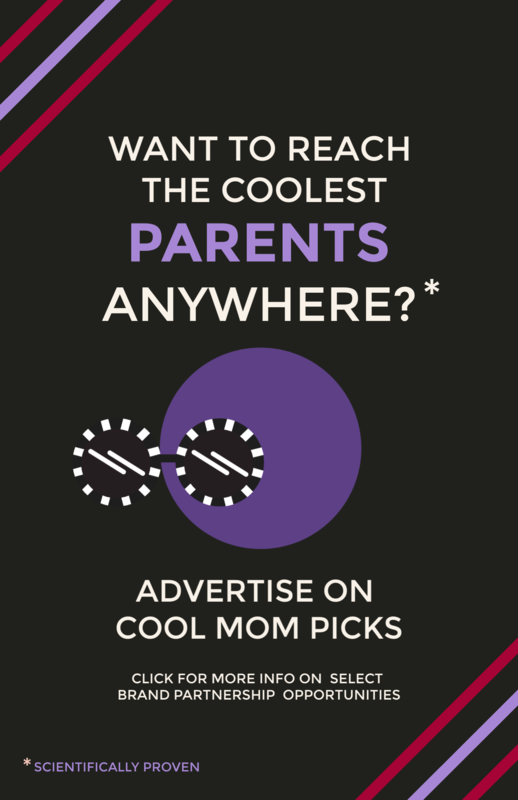 You can get the standards on Roku, of course, like Netflix, Hulu, Amazon, HBO Go and Showtime, but you’re also privy to hundreds of other unique media channels that are categorized into topics like Travel, Fitness, Comedy and Kids & Family. We love that there are even channels dedicated to TED Talks, and to NASA for the especially geeky. And we’re known to turn on HuffPost Live every so often too. 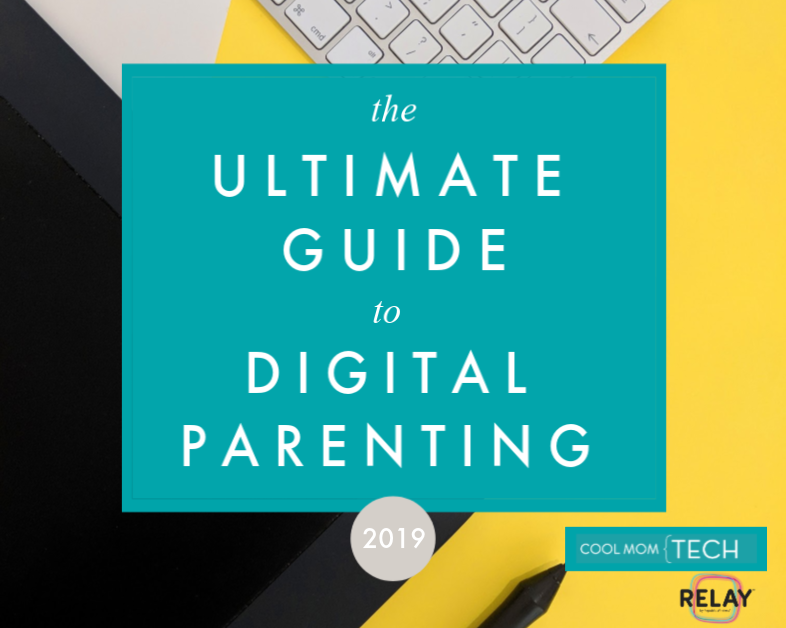 The navigation is remarkably intuitive and probably the easiest to use of all the systems, which makes it another good choice if you have kids in the house. Content is easy to find (easier than with the other services) thanks to an excellent global search across all channels–huge when young hands are wrestling with the remote. 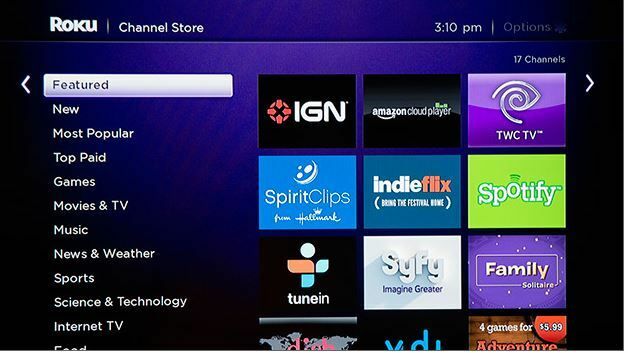 In fact, the other systems could definitely take a note on search from Roku on this front. And while there is no voice search function, the global search is simple using the remote control, and it’s nice to know what each movie costs up front, before clicking through into the app. Again, gaming isn’t at the forefront of the Roku with fewer than 100 games to choose from, so if you’re all about one-stop-entertainment venue that includes gaming, Roku may not be your top choice. But I do like that the remote acts as a gaming controller eliminating the need to purchase one separately as you do with the Fire TV. If the company invests in the gaming functionality, Roku could really clean up in that department too. 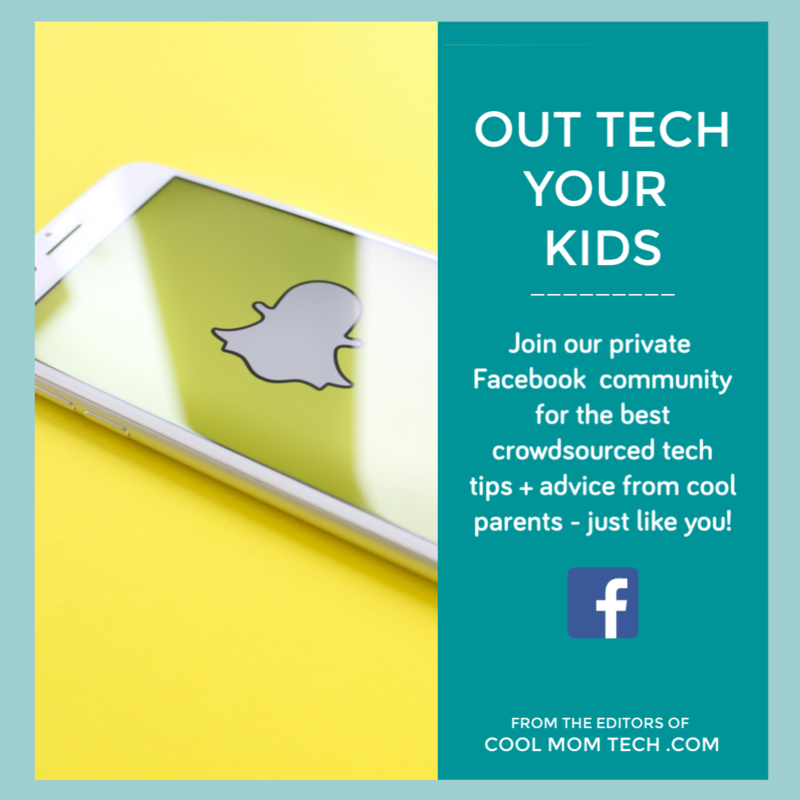 Keep in mind the service that’s right for you will be based on what your family needs, and increasingly these days, the mobile devices you already use. We’ll keep an eye for the updates and next-generation services because we imagine through content partnerships and upgrades, the game could change completely. Soon. “Roku blows” is correct. 1000 channels and 99% of them blow big time. Hardly a fair comparison. Also no mention of the specs which directly translate into how well these devices work. Thanks for your input Fred. 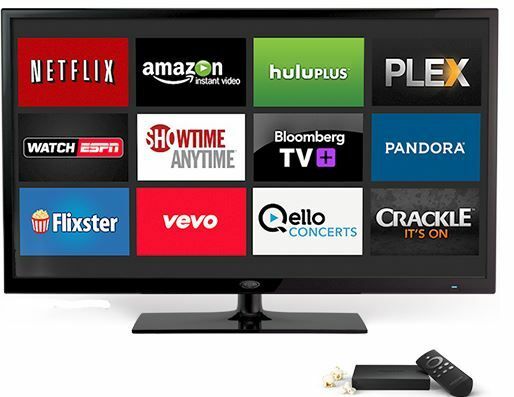 We know that as Prime Member, you have already stated you are a big fan of the Amazon Fire TV. We’re glad you’re happy with your choice! As with any cable system with hundreds of channels, lots will not be up your alley and some are indeed obscure. But we do like that Roku has HBO Go, while Fire TV does not. Plus, with 60+ news channels (Apple TV has 4; Fire has 7), 50+ children’s channels (Apple TV has 3, Fire has 4) we think this is a reasonable fact worth sharing for our readers who may be interested in them, even if they “blow” for you. Fire TV has great processing power and 2GB RAM. It also offers Dolby Surround Sound, screen mirroring, and voice search functionality (as we explained in our first Amazon Fire TV review). All terrific specs. However we think it’s really inferior in terms of search/nav, even and especially for Amazon streaming video. We hope they fix that and make it easier for families to find the free Prime content. Very interesting post. We have replaced our cable with a few of the digital streaming devices. Interesting comparison. Roku is awesome. You should compare that with the aVoV VIXO1, which I think beats Roku hands down. We have a Roku downstairs and an Xbox upstairs. The Roku is vastly simpler to use and I like the no frills remote. I definitely suffer from universal-command-center-control-why-are-there-4-if-it’s-universal-remote syndrome. Anyhow, I don’t regret Roku at all, it’s a small box and fits nicely in the entertainment system. I also have NetFlix in addition to Amazon. Love love all my channels and how easy it is to stream! I looked at all of the options you reviewed some time ago before making my decision. We have 5 Apple TVs in our house. We all wirelessly pull content from our Macs and watch it on any of the TVs. Works beautifully. If you’re a Mac owner, AppleTV is a must. I’d really love a 2017/2018 update of this post. We’re behind the times and trying to figure out what to do, now that we’ve fired Dish Network. Thanks Kyla! We will work on it! I’m actually surprised the Apple TV is only $99. Figured they’d try to gouge their fans just like they do with… well, every other Apple product. I guess it helps that there’s so much competition in the “internet streaming TV box thing” area. Amazon Firestick is just working great for me. I have 2 firesticks in 2 bedrooms and I have installed the apps which are providing me all the entertainment I ever need. Apple TV is good but to me, it is like isolation. Apple’s ecosystem is very concise and it does not allow any modifications in their devices. Same like iPhones while Firestick is more open and we can easily install 3rd party apps in it. I have both Firestick and Roku device. Both are fine but somewhere Firestick has one bit upper. Actually watching TV on Apple TV by pulling content from Mac is a nice idea. Will try it. Thanks for the article. I am already using Android Box and Chromecast but planning to buy Firestick. Can you guide me, is it the right decision or I should opt for something else. I have used both Fire TV and Apple TV and honestly I love Fire TV more than anything else. No doubt, Apple TV is great too but it depends on individual’s test. Thanks for the detailed review, though. Learned something new about Roku today and might give it a try.